Home » Blog » What Role Does Informed Consent Play in Instances of Medical Negligence? What Role Does Informed Consent Play in Instances of Medical Negligence? 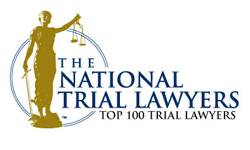 Published on Feb 6, 2019 at 2:44 pm in Medical Malpractice. When a doctor or medical professional performs a procedure on a patient, begins treatment, or administers a test, the patient is legally required to be made aware of everything about the procedure, treatment, or test, its risks, the desired outcome, and any other crucial information such as recovery time, etc. They must willingly agree to move forward before the test or procedure is done. In some cases, the patient will have to make a difficult decision about their own care. This process is something called informed consent, and allows patients to have realistic expectations as well as stay properly informed and educated. Informed consent involves the doctor or surgeon giving the patient the information they need about a procedure or treatment. The medical professional will explain the potential risks of what they’re doing, and what their patient can possibly expect to happen during and after the procedure. The patient should also get information if they need to do anything before undergoing their procedure. This isn’t a quick conversation on the phone or an email sent before the procedure. It’s imperative that this is a sit-down, face-to-face conversation where the patient will not feel rushed or embarrassed to ask questions. The patient needs to be able to make sure that they’re agreeing to something where they have all the important facts. In some cases, the patient may be given some literature to read before signing a form, but they will be given time to thoroughly read through the information as well as ask any questions they may have. When giving informed consent, you’ll want a physical copy of the paper you signed stating that the doctor went over the risks with you. Your signature will provide that you’ve been over the risks, were able to ask questions, and are agreeing to proceed. However, there are some situations where informed consent isn’t required. An emergency situation, where the patient either isn’t able to give consent or there isn’t time to go through the risks, is one of these. The person providing care has to act quickly to save the patient’s life, and stopping to go through risks will either put them at more danger of further injury or death. You may be wondering why informed consent is so important. It’s vital for patients to know what they’re agreeing to because they need to be able to weigh the risks/rewards of their procedure. If they learn that there’s a high chance that they could become paralyzed because of a procedure, then they may not decide to proceed. However, if that person didn’t get all the facts and agreed to the procedure and they were now paralyzed, they cannot take back the decision and now have to adjust to this new way of life. Major injuries like paralysis completely change a person’s life. Their everyday routine, favorite activities, or hobbies may now have to change because of their injury. They may not be able to return to their job or may have trouble doing their existing one. This sudden change can put them in a financially unstable situation. Their condition could result in needing medical equipment in their home or for mobility. Medication could also be required. These costs can add up and should also be considered when the patient learns about a procedure’s risks. There are a lot of factors to consider before decided to go forward with a medical treatment or surgery. The patient needs time and to be able to think about all the outcomes. Failing to provide them with this is negligent and could have a permanent effect on the rest of their life. It’s a patient’s right to have informed consent. If you recently had a procedure where you didn’t give informed consent and were injured during it, you may have grounds for a medical negligence case. The lawyers at Belsky, Weinberg & Horowitz, LLC can help you with your claim. When doctors don’t give you the opportunity to provide informed consent, they’re ignoring your rights. Our law firm will conduct an investigation to find out what you were or weren’t told about your procedure, treatment, or test and what information the doctor should have conveyed to you. We’ll also document how your injuries have impeded your life and that they shouldn’t have happened in the first place. To get started on your case, give us a call today for an obligation-free consultation.